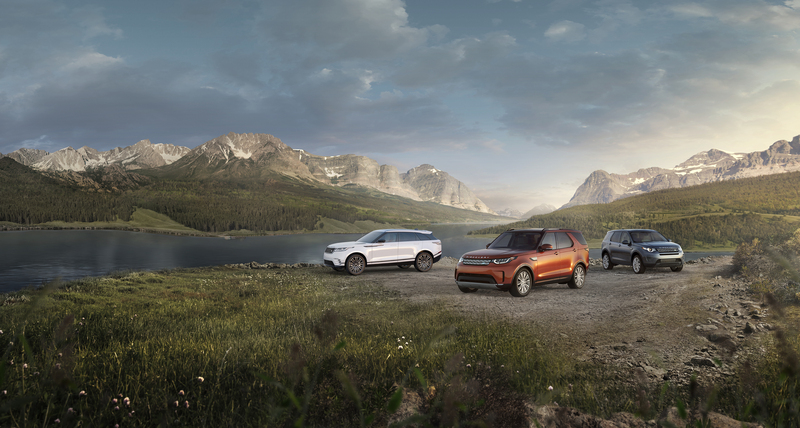 At Land Rover Winnipeg, we are proud of our association with Land Rover and the rich heritage that has inspired the evolution of remarkable vehicles. Land Rover has a long and illustrious history that began in 1948 with a vehicle simply known as Land Rover. Since then, every Land Rover and Range Rover has been engineered and designed as a powerful 4×4. It combines a sense of comfort with true off-road capabilities to enable drivers and enthusiasts to fulfill their sense of adventure. We are constantly striving towards developing outstanding innovations and fine-tuning these SUVs to perfectly serve the needs of businessmen and families. Shop our wide selection of new, pre-owned and certified pre-owned Land Rover vehicles. We provide all the latest models, including the Land Rover Discovery Sport, Land Rover Range Rover Evoque, Land Rover Range Rover Sport and Land Rover Range Rover Velar, which are among the favourites of our customers. Our product specialists will guide you through what each Land Rover has to offer and outline how these extraordinary capabilities can benefit you in your life. Visit our Land Rover Winnipeg for all of your exclusive Land Rover needs. Our staff are committed to providing you with a one-of-a-kind vehicle buying process that stands clear above all others. If you’re shopping at Land Rover we know you’re seeking high quality and luxury, so we make sure we provide that around every turn. From our quality vehicles to our selection of maintenance services, we only provide our customers with the best. We love to contribute to the Winnipeg community at large and help grow our affluent car owners who enjoy showing off these status symbol vehicles. Our website just gives you a taste of the unmatched luxury we provide, so come visit us in-person and see all of what we have to offer at our dealership. Amazing management, incredible service - my favorite dealership over the years, and why I've purchased 5 - and counting - vehicles from them.